Tidmouth Sheds are the main engine sheds on Sodor. In the Railway Series, it is shown as a shed with three or four rails leading in (the illustrations were inconsistent), but in later books it was depicted as a shed enclosing ten berths around a turntable. 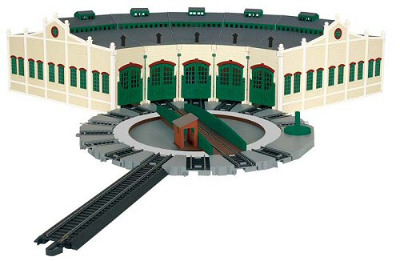 In the television series, the sheds were replaced by a roundhouse with a turntable at the front.